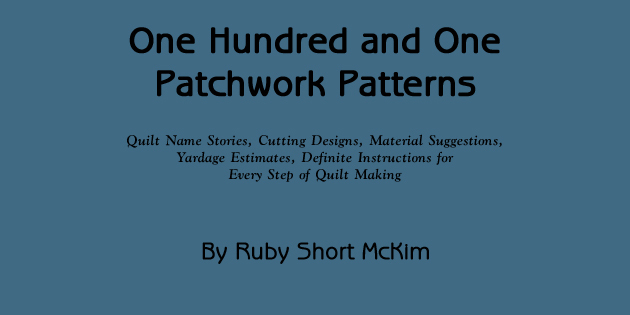 The information and patchwork patterns on this website are complete and true to the original 1931 edition of 101 Patchwork Patterns by Ruby Short McKim. The newer Dover editions are revised and edited, with some information omitted. The patchwork patterns are free to download and information pages can be printed directly from the website. I offer this information for your personal use, it is not to be duplicated for resale. 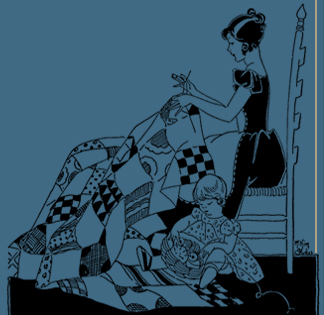 PS: If you would like to see more quilt and embroidery patterns by Ruby Short McKim please visit www.mckimstudios.com.